Wash pork belly with cold water, pat very dry with a clean kitchen towel. Mix brown sugar, salt and black pepper for curing the bacon. 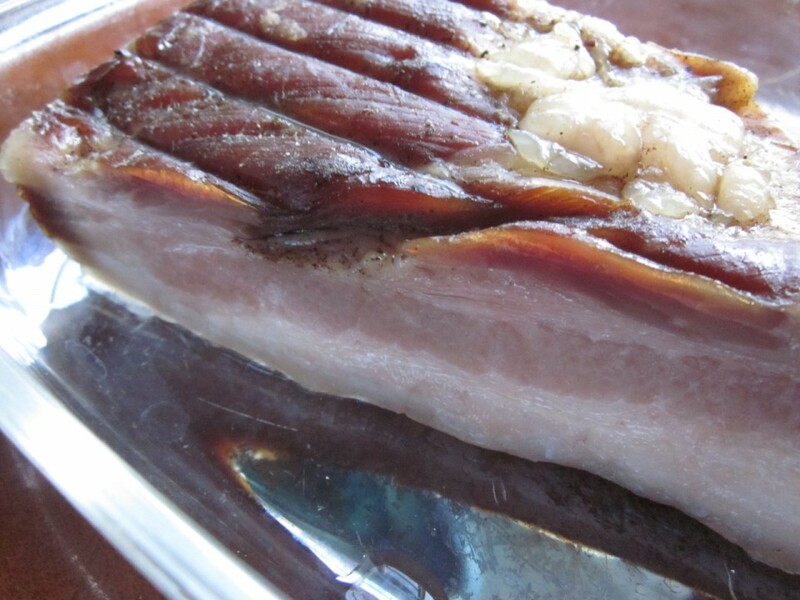 Place pork belly on a cutting board and rub the curing mixture into the pork belly. 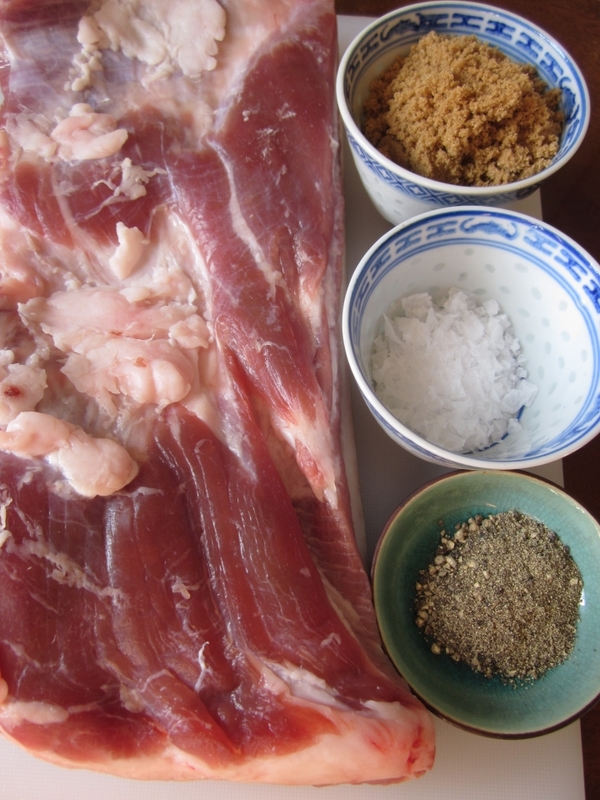 Place pork belly into a container and whatever left-over curing mixture in with the pork. Store in the fridge for at least 10 to 14 days, turn the pork belly once every day. The bacon should have a firm texture when fully cured. Rinse bacon and pat dry with a clean towel. Roast the cured bacon on low heat (100 Celcius) for 2 hours. The intenal temperature should reach approximately 65 to 67 celcius. Cool and store in an air tight container in the fridge up to at least 25 to 30 days.